At Bournemouth Park, we use a behaviour system at school called “Class Dojo”. This is easy to use and gives pupils the chance to be rewarded regularly for demonstrating positive behaviour. Children take ownership of their own behaviour and enjoy working hard to win the Dojos. Class teachers can look at weekly reports to show how successful individual pupils have been, and the Senior Teacher team can monitor success amongst classes across the school. 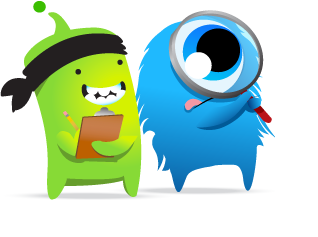 Class Dojo also allows staff to track negative behaviour that may be demonstrated, although pupils are then encouraged to earn back positive rewards straight after, rather than dwell on the negative. Class Dojo now forms part of our school behaviour management policy. We are trying to further strengthen the links between school and home. As part of this improved communication we will be sending a text to families if unfortunately a child is awarded a detention. In the event of this occurring please do not hesitate to contact the Class Teacher, or Senior Teacher, to discuss this further.